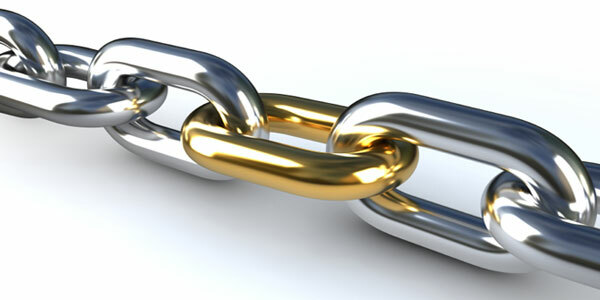 There are so many blog posts out there related to easy methods for link building. In the early days of SEO some of these “easy” options included directory submissions, press releases or even purchasing links (Bad!). We approach link building here at InMarket Success by aligning our strategy with our goal. Our goal is to increase non-paid traffic from search engines. Google’s goal is to serve the best content for the query. Going after easy links doesn’t align with Google’s goal and, thus, will not help us reach our goal. Rather than focusing on obtaining a large number of easy links, we instead aim to earn relevant, authoritative (albeit fewer) strong links. Search engines “credit” sites that are linked to from authoritative, relevant websites. Google’s intention is to serve the best content for the query. So rather than trying to game the system or go after “easy” links we like to take a step back and make sure we are indeed providing that great content which Google want’s to serve up. Having great content has two purposes: Google is smart enough to test if your content is worthy and your content has to be interesting or strong for others to consider linking to it. Rather than focusing on building tons of easy links, we pool all of that effort into a larger link project. Something with a WOW factor. For some industries, creating this WOW content can be a real challenge. But overcoming the challenge is what makes for a great link builder. Nothing is more rewarding than coming up with an amazing link building idea for a seemingly impossible industry/client and having the “That’s IT!” moment that drives the result. The WOW content doesn’t have to be an amazing blog post or white paper.. We like to look at the latest trends/tech and think of big ideas. For example, does this client have the ability to make an awesome podcast? A free, informative podcast would definitely be something a like-minded, industry relevant blog would be interested in talking about. I like to consider tools, resources and more —like a podcast, a new app, an online tool, an infographic, interactive data, a great video on Youtube, all of these things provide value to the would-be-linker. In short- with easy links you get what you put in, not much, and it could cause a Google penalty situation. If your goal is to improve search rankings and increase organic traffic- getting many low value links won’t help you achieve that goal. You need to think outside the box and focus on strong links and great content. With all SEO always keep in mind what Google is looking for—> the best possible result for the search query. Value+WOW is the ultimate goal.